Home to many state parks, amusement parks, beautiful beaches, caves, and numerous other attractions, it is easy to see why Florida is a popular vacation destination. 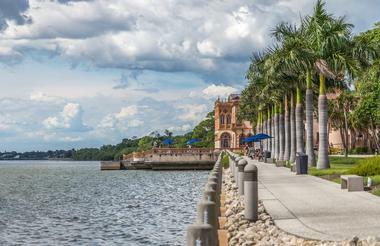 The Sunshine State offers a plethora of options regardless of the type of traveler you are. Family-friendly activities abound, whether visiting one of Florida’s museums or making wonderful memories on the state's beaches and train rides. Here are the best things to do in Florida. 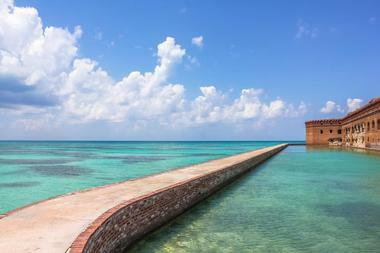 Dry Tortugas National Park is 100 square miles of open water which includes seven small islands. 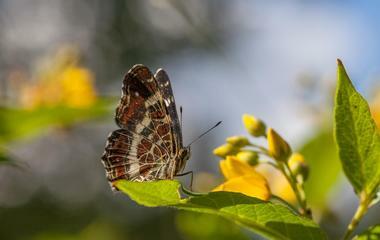 It is one of the more remote parks managed by the National Park Service and lies 70 miles west of Key West. 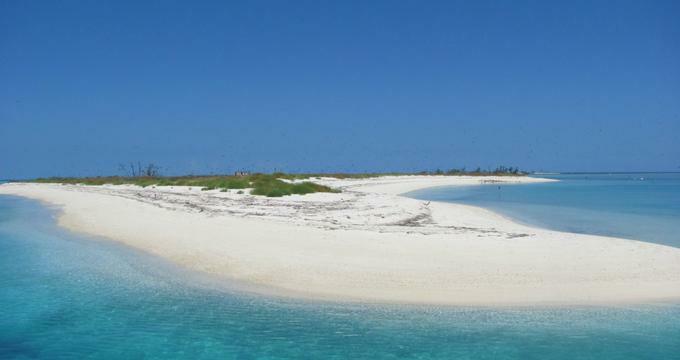 There is no fresh water on the islands, which is why they are called the “Dry” Tortugas. The islands are home to the impressive Fort Jefferson, which is one of the largest 19th century American forts. Visitors can choose to spend the night either in the island’s campgrounds or aboard a chartered yacht. The Dry Tortugas are a prime destination for snorkeling and diving due to the crystal clear water. It is one of the top Florida attractions. Lion Country Safari is Florida’s only drive-through safari park, where about 1,000 animals live in a cageless environment, free to roam and enjoy 600 acres of open space. Located in Loxahatchee near West Palm Beach, this unique park was established in 1967 and is said to be the first “cageless zoo” in the US. At Lion Country Safari, humans visit the park in enclosed vehicles and observe animals from six continents, including giraffes, lions, zebras, rhinos, and ostriches. After visiting the 4-mile-long drive-through safari park, the guests can explore Safari World Amusement Park, with five rides, animal feeding, the Safari Splash water sprayground, food concessions, shopping, and more. The Kennedy Space Center Visitor Complex is the visitor center for NASA’s Kennedy Space Center in Florida. The center has a museum with exhibits, including historic space vehicles and various artifacts from the history of space travel. 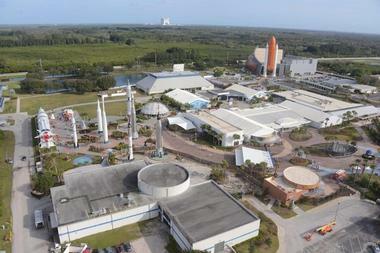 The complex features an IMAX movie theater and a launch simulator. There are also several options for bus tours of the Kennedy spaceport. The space center has a special memorial called the Space Mirror, which honors astronauts who have lost their lives in the line of duty. The Apollo/Saturn V Center can be visited by bus from the visitors’ center and includes exhibits related to the Apollo program, including a piece of moon rock and the replica of a lunar rover. The Ringling Museum of Art is an art museum located and includes the former mansion home of John and Mable Ringling, the namesakes and founding members of the Ringling Bros and Barnum and Bailey Circus. 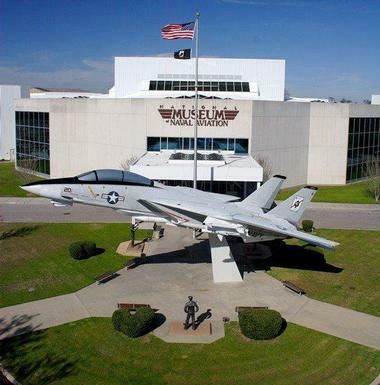 The museum includes 21 art galleries housing more than 10,000 pieces and is the state museum of Florida. The museum can be combined with tours of Ca d’Zan, the Ringling’s mansion, as well as the world’s first circus museum, which includes a small-scale circus. The grounds also feature a library, education center, and gardens and can be used for weddings and private events. The Ernest Hemingway Home and Museum is the former home of American novelist Ernest Hemingway and is located in Key West. One of the most modern homes of its time on Key West, the home remains one of the largest on the islands. Visitors can tour the impressive home and discover many details of Hemingway’s life. A number of cats inhabit the grounds as a homage to Hemingway, who was very fond of felines. Some are even 6-toed descendants of the cats that Hemingway himself owned. 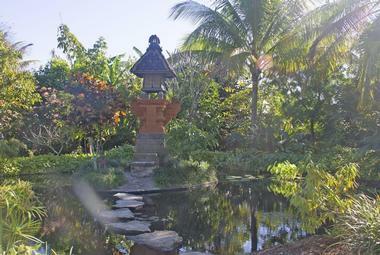 The home is surrounded by beautiful gardens which visitors are free to wander through and enjoy. SeaWorld Orlando is a theme park and marine attraction in Orlando. The park features opportunities to view marine wildlife in naturalistic tanks and habitats. Keeping with the ocean theme, SeaWorld is divided into different areas called “seas.” Port of Entry is the name of the park’s main entrance and features a freshwater marina and a Shamu-themed lighthouse. The other areas of the park highlight different aspects of the ocean. There are many live shows at SeaWorld, including the iconic orca whale show. There are rides for all ages, as well as dining options and gift shops throughout the park. The Wizarding World of Harry Potter has areas at two Orlando-based theme parks - Islands of Adventure and Universal Studios Florida. The park features rides and attractions based on the Harry Potter movies and even includes a replica of the Hogwarts Express, which is also a train that visitors can use to get to the park. The Wizarding World of Harry Potter has five rides, including the Dragon Challenge, which is a roller coaster with two intertwining tracks. There is also a replica of Hogwarts Castle on site where visitors can tour and interact with the characters and props from the movies. The park features shops and restaurants selling Harry Potter-themed souvenirs and refreshments. 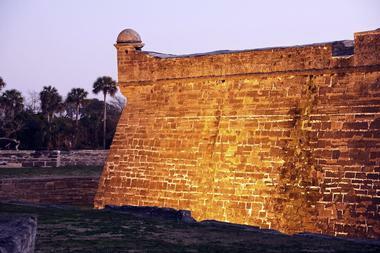 The Castillo de San Marcos is a masonry fort built in the 17th century and located on the shore of Matanzas Bay in Saint Augustine. The site has been preserved as a national monument by the National Park Service and is dedicated to conserving the fort and the history and culture associated with it. The park is outdoors and has a park history available in English as well as tour brochures that are available in several languages so that visitors can do self-guided tours. Re-enactments occur throughout the year and allow visitors to experience what it was like to be a soldier there centuries ago. The St. Augustine Wild Reserve is a rescue center for exotic animals. Most of these animals have come to the center because people bought them as pets and then ended up not wanting them or not being able to care for their needs as wild animals. Some of the animals have been rescued from abusive homes. The reserve also conducts many community education events to help educate the public about owning exotic animals. The reserve offers tours by appointment only. Visitors will be taken on a 2-hour tour of the center by a professional who can provide information about each of the animals. 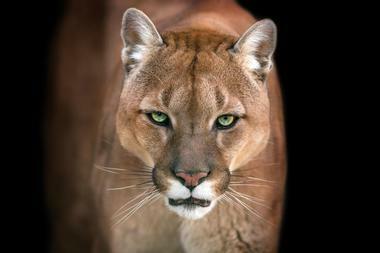 On the tour, guests can get an up-close look at the reserve’s tigers, bears, cougars, leopards, wolves, and much more. LEGOLAND® Florida Resort is a theme park located in Winter Haven. The park is designed for children under the age of 12 and includes many rides, shows, and attractions. The park is built on the site of a former botanical garden and has retained much of the original garden, so the grounds are very beautiful. The park features a water park and a factory tour attraction where inquisitive guests can learn about how Lego bricks are made. It is possible to purchase is a variety of VIP experiences which give children a bit of something special at the park - whether it be reserved seating at attractions or breakfast with their favorite Lego character. One thing is sure, Legoland is sure to inspire creativity and fun in children of all ages. The Turtle Hospital is a rehabilitation and preservation organization devoted to saving endangered sea turtles. The non-profit facility based in Marathon strives to rehabilitate injured sea turtles and return them to the wild and also serves as an advocate for the species. The hospital participates in several educational and research projects to educate the public and help turtles. 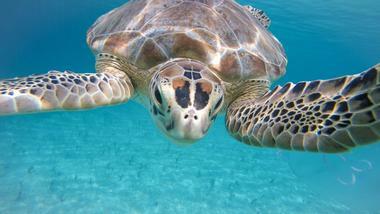 They also advocate for legislation to help make the oceans safer and cleaner for turtles. The hospital has an education center and gift shops that are open to the public. Guests can tour the facility with guides and reservations are recommended. The Charles Hosmer Morse Museum of American Art is home to the world’s largest collection of Louis Comfort Tiffany stained glass and other art anywhere in the world. The museum also features a large number of American art pottery pieces and some fine-art paintings from the 19th and early 20th centuries. Visitors have a couple of tour options to choose from, including a cell phone audio tour which can be downloaded onto your phone. The museum hosts gallery shops, private events, films, and lectures. The museum shop offers jewelry, art glass, ceramics, gifts, and souvenirs inspired by the work of Louis Comfort Tiffany. 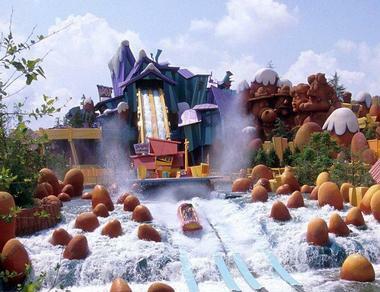 Universal's Islands of Adventure is a theme park in Orlando and is part of the larger Universal Orlando Resort. The park’s central theme takes visitors on an journey of adventure through the eight different islands. The park is set up in a hub-and-spoke arrangement with the “Port of Entry” at the center of the park. The “Port” doesn’t have any rides but has shops and restaurants and can be used to connect to the seven other islands, where the rides are located. The park features attractions that are based on a variety of movies, not only on those produced by Universal. Discovery Cove is a theme park and marine attraction located in Orlando and is operated by SeaWorld Parks and Entertainment. The park offers visitors the opportunity to visit and interact with a wide range of marine wildlife. 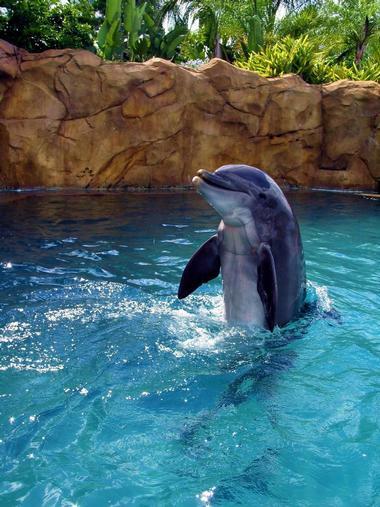 One of the most popular attractions is the Dolphin Swim, where park guests can swim and play with bottlenose dolphins. Discovery Cove also has a coral reef where visitors can swim with a variety of fish and other marine animals. The Tropical River allows guests to float from one attraction to another and passes many of the park’s most popular areas. 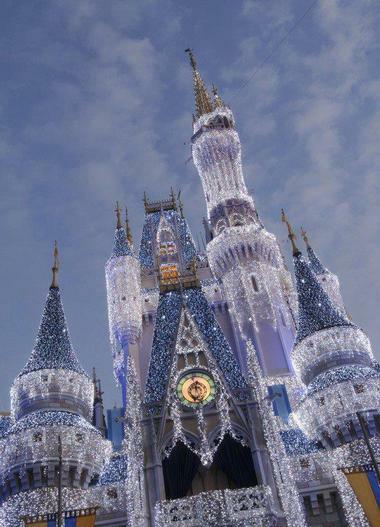 The Magic Kingdom is a theme park at Walt Disney World Resort and is one of many theme parks in the Orlando area. The centerpiece and icon of the park is Cinderella’s Castle. The park is set up like a wheel with spokes, with the center of the wheel being right in front of the castle. A narrow gauge steam engine called the Walt Disney World Railroad transports passengers around the park perimeter and stops at three of the lands - Main Street, U.S.A., Frontierland, and Fantasyland. Magic Kingdom Park offers a variety of food and beverage options, live shows, and opportunities to interact with characters from your favorite Disney productions. 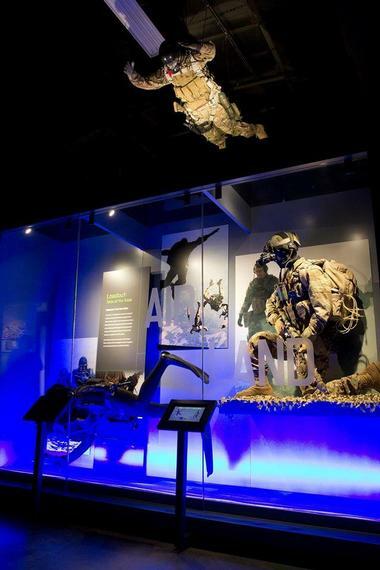 The National Navy SEAL Museum and Memorial is dedicated to preserving and displaying the history of the United States Navy SEALs. The historic location of the museum, on the Ft. Pierce beaches, is the same place that the Naval Combat Demolition Units and Underwater Demolition Teams trained for D-Day. These two units later became the Navy SEALs. Visitors can learn about the history of the Navy SEALs program, including the predecessors to the SEALs program. Exhibits include modern and outmoded equipment from Navy SEAL teams as well as other rare artifacts from famous SEAL missions. The centerpiece of the museum is the SEAL Memorial, which honors fallen Navy SEALs. Ca d’Zan Mansion is the former winter home of John Ringling, who was a circus owner and the developer behind the Ringling Brothers circus. The home overlooks Sarasota Bay and is built in the Mediterranean Revival style. It is intricately designed both inside and out and features impressive furnishings. Visitors can tour the mansion to get a glimpse into the Ringlings’ lifestyle as well as the unique furnishings and decor of the home. Several tour options are available to accommodate any groups. The home may be visited as a standalone attraction or in combination with the John and Mable Ringling Museum of Art, which is located in the grounds.